So many businesses now offer a free eBook download on their website to generate leads. In fact, we offer a free online marketing strategy eBook on our own website. They are a great lead generation tool when done correctly, as they give a prospective client some information prior to committing to a purchase. There are so many different topics that you can create an eBook around, and the focus should always be on the quality and not the length of the eBook. The goal is to present your prospects with some information that leaves them wanting more at the end. 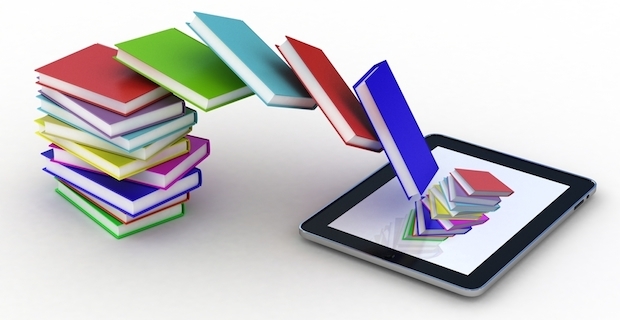 Think of an eBook as a sample offering of what you can deliver to your customers. It is important to produce an eBook that is useful to your prospects, but at the same time it needs to convert them from a lead to a paying customer. We have put together a list of five components of a successful eBook that will help you generate more leads for your business. You need to create an eBook that your website visitors are going to want to download, but it is going to need to contain valuable information as well. Many businesses throw something together and assume that as long as people download it they are going to generate leads and the sales will soon follow. This isn’t going to happen unless the reader finds it valuable. The eBook that we give away is over 80 pages and delivers valuable information that can help any business owner that downloads it. If it were overly promotional and read as one big sales ad do you think it would be effective? It wouldn’t! Don’t be afraid to give away some useful information to prospective customers. It is important that your eBook stays on topics and provides useful information without completely solving your prospects questions. Remember, the goal of an eBook is to get the readers familiar and confident in your business, which will then increase the odds of them turning into a customer. If you give away too much information or completely solve their problem then what incentive do they have to become a customer? Think of your eBook as a non-threatening sales tool that works 24/7. When a prospect visits your website and downloads the eBook you have the opportunity to soft sell them on autopilot. When they finish reading your eBook they should be excited to speak to you and ready to make a purchase. You could have a very strong eBook, but if it doesn’t feature a strong call-to-action you aren’t going to convert your leads into customers. Simply let the reader of your eBook know what YOU want them to do when they finish reading it. Do you want them to make a purchase? Call your business? Visit your business? The goal of our eBook is to get the business owner to contact us for a consultation and quote, so at the end of the eBook we present a CTA that tells the reader to contact us. A business owner that downloads our online marketing strategy guide is obviously interested in the services we provide, so if they find that the eBook was valuable don’t you think they will be open to discussing what we can do for their business? Our CTA is very clear and they can take the next step with one mouse click on the last page of the eBook. We have seen a lot of eBooks over the years. Some look great, while some look like they were tossed together in 5 minutes. Your eBook is a direct reflection of your business, so make sure to spend the time to create an eye appealing design. You don’t have to get too crazy with graphics, but make sure it is branded with your company logo and colors. Also, don’t forget to include your contact information on the eBook. Often times your eBook will get passed around, so in the event that someone else reads it and wants to take further action they need to be able to easily get in touch. If you downloaded an eBook and it was a plain white text document that was poorly formatted what would your impression of that business be? If a business can’t put in some effort to create a nice looking eBook there is a good chance that same effort will apply to all of their business. Once you have a great eBook created it is time to get it into the hands of your prospects. You will want to feature it in a prominent location on your website, preferably above the fold. Have a strong call-to-action that your website visitors will notice immediately. You can also promote your eBook on social media, encouraging your social audience to visit your website and download the eBook. If you do guest blogging you can also mention your businesses eBook within your bio or within the blog post. Focus on creating a high quality eBook that provides a real value. When done right it can help your business generate leads around the clock and on autopilot.